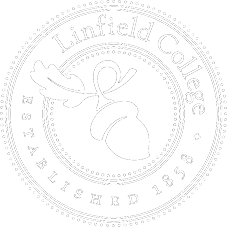 Linfield Reports is a newsletter for Linfield College faculty and staff. This is the final issue of Linfield Reports for the 2017-18 academic year. Susan D. Hyde ’00, professor of political science at the University of California, Berkeley, will deliver the commencement address to the class of 2018. 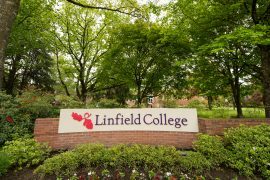 More than 640 Linfield College graduates will be honored during commencement exercises Sunday, May 27, at 10 a.m. in the Linfield Oak Grove. Linfield Gallery presents “Peak/Peek/Pique,” Linfield’s 2018 student exhibition, featuring work from thesis, portfolio and electronic arts capstone students. Installed across two venues, this exhibition represents a series of small glimpses into the creative practice of Linfield’s student artists. The title of the exhibition exemplifies the different approaches and accomplishments of the featured artists. Kevin Curry, director of video and digital media and adjunct faculty in mass communication, is presenting a paper in June at the 2018 International Association for Media and Communication Research (IAMCR) conference. His paper, “Content Preference as a Predictor of Political Knowledge and Voter Turnout in the Social Media Age,” was accepted by the Political Communication Research Section of the IACMR. 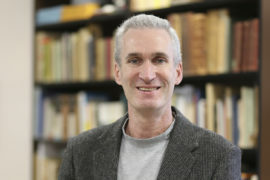 Michael Huntsberger, associate professor of mass communication, was elected in April to a two-year term as the chair of the Radio and Audio Media division of the Broadcast Education Association. Anton Belov, associate professor of music, is performing Brahms’ “The German Requiem” in Seattle this week. Kelly Bird, sports information director, will have a new sports information assistant thanks to an award of $53,320 from the NCAA Ethnic Minorities and Women’s Internship Grant program. This grant will provide two years of support for an intern who will play a vital role in communications outreach for Linfield’s athletic programs. Patricia Haddeland, Susan Hopp, and Susan Agre-Kippenhan are overseeing a Campus Situational Prevention Approach Project supported by a subaward of $30,657 as part of a larger project led by Portland State University and funded by the U.S. Department of Justice. Jeff Peterson, associate professor of sociology, administered a wine industry labor survey this year with the support of a grant of $3,500 from the Oregon Wine Board. Rich Schmidt, director of archives and resource sharing, received grants from the Erath Family Foundation ($5,000), Oregon Wine Board ($6,450), and Oregon Wine Brotherhood ($5,500 ) in support of Oregon Wine History Archive projects during the 2017-18 academic year. John Syring, associate professor of biology, Leonard Finkelman, assistant professor of philosophy, and community member Mike Full have successfully secured a grant of $10,000 from the Juan Young Trust in support of a new summer paleontology outreach project. In this program, area youth will learn about the natural history of the Willamette Valley by visiting excavation and float sites along the Yamhill River where researchers are uncovering the fossils of mammoths, mastodons, giant sloths, bison and more. Chad Tillberg, associate professor of biology, will use a sub-award of $4,579 from Washington State University in support of student-faculty collaborative research this summer on the Fender’s Blue Butterfly as part of a larger project funded by the Bureau of Land Management. Andrea Reinkemeyer, assistant professor of music, will receive an orchestral commission of $15,000 as part of the League of American Orchestras’ 2017 Women Composers Readings and Commissions program, which is administered by American Composers Orchestra (ACO) and supported by the Virginia B. Toulmin Foundation. Reinkemeyer’s work will be premiered by the Louisiana Philharmonic Orchestra and music director Carlos Miguel Prieto on January 10, 2019, with additional performances on January 11 and 12. View the Linfield events calendar or the Linfield athletics calendar. Four Linfield College students have been honored as Arthur Ashe, Jr. Sports Scholars. 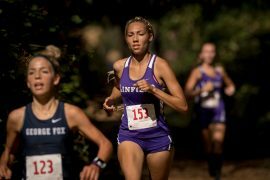 Kaelia Neal ’18, David Flores ’19, Jordan Clark ’18 and Jade Everage ’18, representing track and field, swimming, and men’s and women’s basketball, are included among this year’s honorees. The third annual Giving Day, held Tuesday, May 1, raised more than $320,000, well past the initial $250,000 goal. Total gifts nearly doubled 2017’s results and were seven times greater than the first Giving Day in 2016. 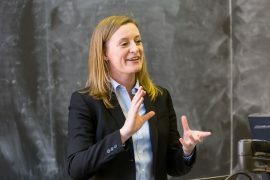 Kristina Olson, associate professor of psychology at the University of Washington, will present “Gender Diversity in Childhood” Monday, May 7, at 5:30 p.m. in Jonasson Hall, lower level of Melrose Hall. Olson will discuss her recent research that explores gender development and mental health in an increasingly visible group of children – transgender and gender diverse youth. This talk is free and open to the public. Linfield College will present “Meditation and Movement,” featuring the Linfield Faculty-Student Chamber Ensemble, Tuesday, May 8, at 7 p.m. in the Delkin Recital Hall at the Vivian Bull Music Center on campus. 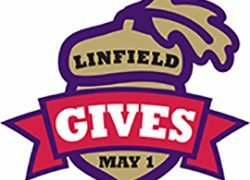 Celebrate National Nurses Week with Linfield College and Ben Hudnall Memorial Trust Tuesday, May 8, from 11 a.m. to 7 p.m. at Kaiser Sunnyside Medical Center. 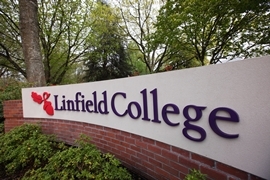 Mingle, learn about Linfield’s RN to BSN program and join the celebration. Kaiser Sunnyside Medical Center is at 10180 SE Sunnyside Road in Clackamas. Career Services will host a First Federal internship banquet Tuesday, May 8, at 6 p.m. in Jonasson Hall, lower level of Melrose Hall. This is an invite-only event. 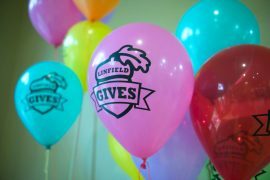 First Federal supports Linfield students by providing stipends for students completing an unpaid internship with a Yamhill County-based non-profit. Organizations make proposals for a project to be completed by a Linfield student during the spring semester, and each of five students earns a $1,000 stipend for their work during the semester. The banquet is a night of celebration of the work completed by these interns – each makes their final presentation to First Federal officers, non-profit representatives and Linfield faculty and staff. 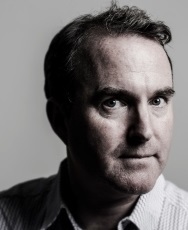 Christopher Keaveney, professor of Japanese at Linfield College, will discuss Japanese baseball fiction, film and manga during a faculty lecture Wednesday, May 9, at 7 p.m. in the Fred Meyer Lounge in Riley Hall at Linfield. Linfield College music students and faculty will present a chamber music celebration Thursday, May 10, at 4 p.m. in the Delkin Recital Hall in the Vivian A. Bull Music Center on campus. 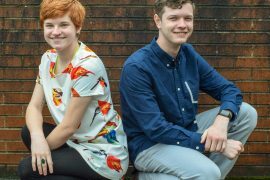 Linfield College seniors Grey Patterson and Sophia Reinhardt will perform music compositions they have written Friday, May 11, at 7 p.m. in the Delkin Recital Hall of the Vivian A. Bull Music Center on campus. The compositions include chamber pieces and digital media. 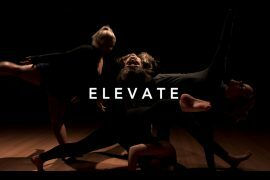 Linfield College student dancers and choreographers will perform at the Spring Dance Showcase, “E L E V A T E,” Saturday, May 12, at 7 p.m. in the Richard and Lucille Ice Auditorium in Melrose Hall on campus. The Linfield College Concert Choir, Women’s Vocal Ensemble and Wildcat Men’s Glee Club will come together to perform a spring choir concert. 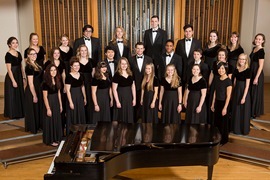 The three groups, under the direction of Anna Song, associate professor of music and director of choral activities at Linfield, will present “We Are One” Sunday, May 13, at 4 p.m. in the Richard and Lucille Ice Auditorium in Melrose Hall at Linfield. Nancy Drickey, professor of education, was installed as a member of the board of the National Council of Supervisors of Mathematics, an organization for leaders and teachers of K-12 mathematics education. Nursing student Kailee Scott-Unger ’19 was one of the honored guest speakers at the 7th Annual Katie’s Kause event, which raises awareness about cystic fibrosis. In a globalized but increasingly divided, digital and complex world, what is the role of human connections and state-to-state diplomacy? Ryan Jones ’07, former State Department diplomat and current late-night comedy researcher and writer, will discuss this question Wednesday, April 4, at 5 p.m.in 201 Riley Hall at Linfield College. 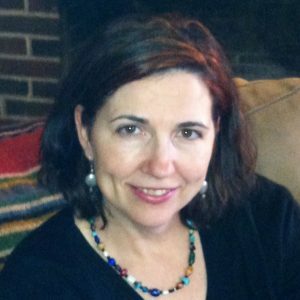 As part of Women’s History Month, Laura Shelton, associate professor of history at Franklin and Marshall University, will present “No Madness in Mexico: Understanding Infanticide Trials in the Nineteenth Century.” The lecture will take place Monday, March 12, at 7 p.m. in the Austin Reading Room in Nicholson Library.